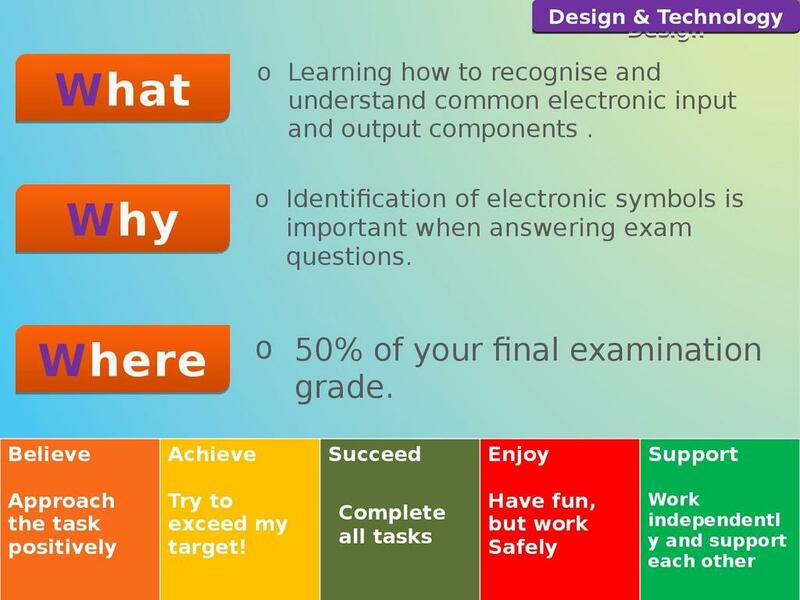 This classroom presentation and worksheet describe to students a number of supports the teaching of electrical circuits and components. 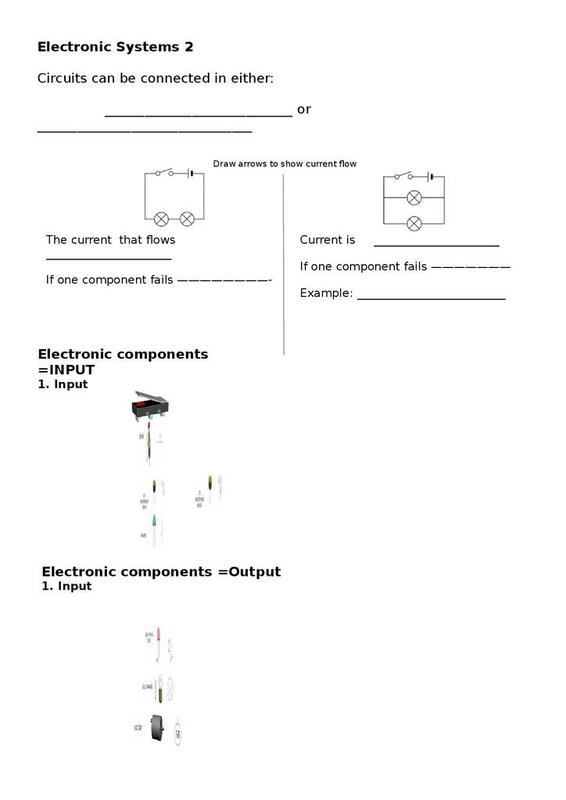 It looks at parallel and series circuits and provides an overview of a number of components (E.g. switch, thermistor, light dependent resistor, motor, LED, bulb, speaker, buzzer, battery, variable resistor, resistor, integrated circuit).